August is National Immunization Awareness Month and is a topic infused with confusion, hesitation, and doubt. 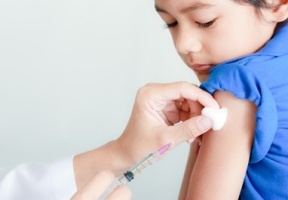 Dr. Hari Srinivasan, Chairman, Program Director and Attending Neonatologist, Department of Pediatrics, Sinai Children’s Hospital, endeavors to alleviate misleading information about immunizations and provides tips for a healthy school year. Lawndale Bilingual News: How do vaccines work? Do they work against viruses and bacteria? 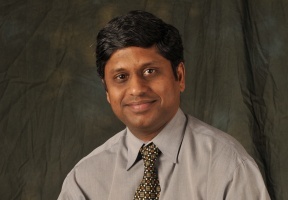 Dr. Hari Srinivasan: When disease germs enter your body, they start to reproduce. Your immune system recognizes these germs as foreign invaders and responds by making proteins called antibodies. Vaccines are made from the same germs (or parts of them) that cause disease. But the germs in vaccines are either killed or weakened so they won’t make you sick. Vaccines containing these weakened or killed germs are introduced into your body. Your immune system reacts to the vaccine in a similar way that it would if it were being invaded by the disease — by making antibodies. These antibodies stay in your body for a very long time protecting you against the disease. Yes, vaccines work against both bacteria and virus. Why aren’t all vaccines 100 percent effective? Vaccines are designed to generate an immune response that will protect the vaccinated individual during future exposures to the disease. Individual immune systems, however, are different enough that in some cases, a person’s immune system will not generate an adequate response. As a result, he or she will not be effectively protected after immunization. Every year, the flu virus undergoes minor changes to its protein structure. The antibody which was produced by the previous year’s infection is not effective because it cannot recognize this changed virus. Therefore, we need a new flu vaccine every year. There are parents concerned that vaccines are linked to long-term health problems such multiple sclerosis, diabetes, and autism. Is that true? No, it is not true. Every year hundreds of million people are vaccinated around the world. Very few of these individuals develop diseases like multiple sclerosis, diabetes and autism. The potential links between vaccines and these diseases have been thoroughly explored and study after study has shown no link. It’s likely that this misconception persists because of the coincidence of timing between early childhood vaccinations and the first appearance of symptoms of autism. What advice can you give parents to ensure their child has a healthy school year? 1. Getting enough sleep. By far, the most important school health issue for most kids is getting enough sleep –about 10 to 11 hours a night for elementary school-age children. 2. Testing hearing and vision. You can’t expect a child to learn if she’s having trouble seeing the blackboard or hearing the teacher. So have your pediatrician screen for vision and hearing problems during your child’s back-to-school checkup. 3. Packing a balanced and healthy lunch. It’s a good idea to lay down some nutrition rules before your child heads into the lunchroom. 4. Hand washing. Good hand-washing habits are critical for school-age children. Children (like adults) need to wash their hands after they go to the bathroom and before they eat. 5. Calling in sick. If your child is sick, keep them home! This will help prevent the spread of disease in the school and keep other children healthy. 6. Review basic safety rules. If your child will be walking to school, go over the route together ahead of time to check out possible hazards, such as busy streets. Don’t let a young child walk to school alone, and don’t expect a slightly older brother or sister to provide adequate safety supervision. In carpools, seat belts should be a given, but remember to check out other drivers’ safety standards well ahead of time. To protect your child from strangers, avoid writing his or her name on the outside of a backpack or jacket. Also teach them not to approach or talk to strangers. 7. Exercise. Kids need 20 to 30 minutes of regular, nonstop exercise a day.